The Brazil Sul de Minas Fair Trade & Organic was carefully roasted for you by Centri Coffee. 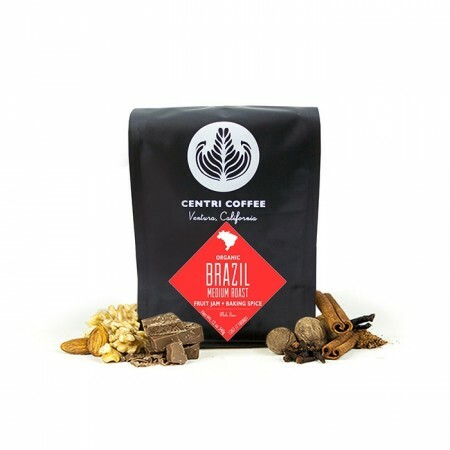 Grown by the APROCEM in the Poco Fundo, Minas Gerais region between 900 - 1,300 meters, this Fair Trade and Organic certified coffee is a perfect example of why we love coffees from Brazil. The cup is rich, full bodied and round with notes of baker's chocolate and roasted nuts.